Newport, RI, February 2008 – With Wimco Villas, luxury is about individuality and, this Easter, each property in the company's portfolio offers something special to make it stand apart from other villas in the destination. Whether it's a private peninsula, a telescope for stargazing, a dedicated golf buggy or somewhere discreet to stay with the in-laws, Wimco Villas has a property to suit even the most discerning traveler's requirements. 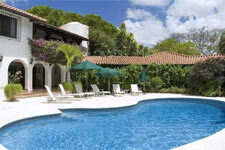 Villa MAT STE in Tortola offers uncompromised privacy. Set in an 8-acre private estate located on a peninsula, the split-level 5 suite villa hugs the cliffs and is discreet enough for lovers, yet expansive enough for a group of friends. There are a number of terraces from which to gaze at the gorgeous views across to the US Virgin Islands, a secluded boat dock and sandy nooks for sunbathing, as well as original works of art and sculpture throughout the property. At night, make use of the telescope to spot the stars. Available over Easter from $15,500 for 7 nights for up to ten guests. Traveling with an extended family, whether stepchildren, grandparents, or in-laws, is an increasingly popular way to reunite and share time together. With different generations and age groups, couples and children, accommodation needs to be flexible and provide both places to gather together, and places to be private in. Villa AA ELS is an estate home overlooking the golf course of Sandy Lane, Barbados, that sleeps fourteen in 7 bedrooms – 3 ensuite in the villa, 2 further ensuite in the pool house and a 3 bedroom garden apartment. There's plenty of space for family celebrations in the grand living room or around the barbeque on the secluded poolside terrace. 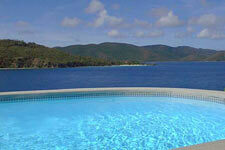 Available over Easter from $28,000 for 7 nights including private beach cabana and 4 full time staff. 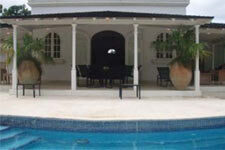 A private villa on a top Barbadian golf course with its own buggy? Wimco Villas offers the golf addict this 4 ensuite bedroom villa, in an enviable position on the estate of the Royal Westmoreland Golf & Country Club. After some refreshment in the nineteenth hole, return to the incredibly chic property and relax around the secluded pool, fringed with frangipani. Available over Easter from $7,000 for 7 nights for up to 8 guests including a full time cook. * Prices are per villa and include 7 nights accommodation. Flights are not included in the price. Wimco Villas is an award-winning luxury villa company, providing access to some of the world's most beautiful and exceptional villas in Italy, the South of France, Morocco, Mykonos, Santorini, Hydra, Rhodes. In the Caribbean Wimco Villas represents over 260 villas on St Barths and offers an expansive selection of villas throughout the region including St Martin, Barbados, Anguilla, Jamaica, British Virgin Islands, Mustique, Nevis and the Cayman Islands.